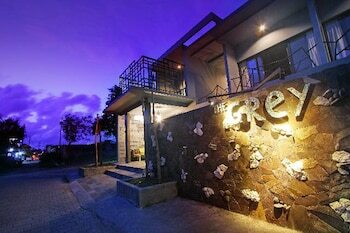 With a stay at The Grey Boutique Inn in Legian (Dewi Sri), you'll be within a 15-minute drive of Legian Beach and Krisna. Featured amenities include dry cleaning/laundry services, a 24-hour front desk, and luggage storage. Free self parking is available onsite. With a stay at Airy Sanur Bumi Ayu Gang Lima 88 Denpasar Bali in Sanur, you'll be within a 10-minute drive of Sanur Beach and Sanur Night Market. With a stay at RedDoorz @ Sunset Point Seminyak in Seminyak (Sunset Road), you'll be within a 15-minute drive of Legian Beach and Seminyak Square.